Viviscal UK Blog: Does Ginger Have Hair Growth Benefits? Ginger root is considered a superfood, rich in nutrients and compounds that provide many benefits. 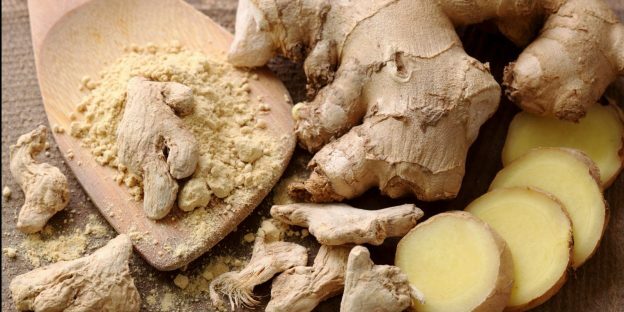 Ginger has been used for thousands of years to treat a range of ailments, from indigestion to cold symptoms, to muscle pain and to improving brain function. Now, the ginger root is entering the mainstream again, with many hair growth products touting the spice as a key ingredient. But with all this talk of ginger, you may be wondering, “Is ginger good for hair growth?” Ginger is not a cure for hair loss, and ginger alone doesn’t make hair grow. But the properties that make ginger so healthy can also have real benefits for your hair. Read on to learn about the use of ginger for hair growth and how ginger may benefit your hair’s health as part of a complete hair care regimen. Ginger has natural antiseptic and anti-inflammatory properties that can help soothe scalp conditions like dandruff. Dandruff can cause itchiness. And scratching the scalp can cause damage to hair cuticles, leading to breakage. Add a few drops of ginger essential oil to your favourite shampoo for its anti-dandruff benefits. Ginger root can be used to treat the types of scalp inflammation that cause hair loss. Ginger is loaded with hair-healthy vitamins and minerals, including magnesium, potassium, and phosphorous. Ginger also contains fatty acids, which can improve hair’s sheen. Moisturize hair with a ginger hair mask to allow strands to absorb ginger’s benefits. Using a vegetable peeler, remove the skin from a one-inch section of fresh ginger root. Grate fresh ginger using a fine grater or food processor. Mix 1 tablespoon finely grated ginger with 2 tablespoons melted coconut oil. Gently massage mixture into scalp. Scalp will begin to tingle as circulation improves. Allow to sit for 30 minutes, then shampoo and style as usual. This treatment can be repeated once per week to encourage healthy hair growth. In a small bowl, mix together two tablespoons of melted coconut oil with two drops of ginger essential oil. Using fresh ginger, ginger juice, or ginger essential oil may help to improve hair growth by increasing blood flow to the hair follicles, and providing your body with needed antioxidants and nutrients. Use of ginger alone, however, will not give you Rapunzel-length locks overnight, nor will ginger cure hair loss. We recommend using ginger as part of a hair growth strategy that includes a healthy diet, plenty of water, stress reduction, and a nutritional supplement like Viviscal. * Leading a healthy lifestyle will give your hair the best possible chance of growing as thick and healthy as possible. Have you tried a ginger hair treatment? Let us know in the comments!